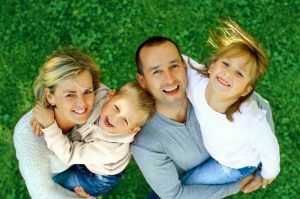 Finding the right dental provider for your family can be a challenge, especially if you have children to consider. Who can you trust with your oral health? And where should you start to look? It’s much more convenient if everyone in the family can see the same provider, so you’d like to find a dentist in Fort Worth that can meet everyone’s needs. Here are some helpful tips and things to consider when looking for a dentist you can trust. What kind of advanced training does the doctor and staff participate in? Is the office equipped with state-of-the-art technology, and how can it benefit your family? Does the dentist offer a wide range of services for all family members? At what age does the dentist start to see children? Asking the staff questions when you talk with them will give you a perspective on what it’s like to work with dentist. Dropping by for a tour of the office will help you determine if it feels clean, modern, and welcoming. This is an especially good idea if you have children. Ask yourself if the practice feel comfortable for your family? Is the office clean and organized? An office tour will help you decide if it’s an environment that you feel at ease in. Are you considering changes to the appearance of your smile? Do you have teeth in need of repair? Scheduling a consultation with a prospective provider will give you the opportunity to discuss your concerns and goals for your smile with them. You want to work with a dentist who understands your needs and wants to meet them. Do they listen to ideas or concerns about your smile? Does their treatment philosophy coincide with your goals? It’s important to find a dentist you trust, who puts you at ease. For over 30 years, Dr. Renee Corbitt has been taking care of patients in Fort Worth, TX. He welcomes patients of all ages and offers a wide range of services to meet each individual’s needs. We would love to welcome your family into ours! Give our office a call today to schedule your next appointment. Dr. Renee Corbitt provides comprehensive dental services to patients residing in Fort Worth. Patients will find that Dr. Corbitt offers many treatment procedures such as sleep apnea therapy and solutions for TMJ issues that you won’t find at every practice. New patients are always welcome to the practice, and if you would like to contact Dr. Corbitt he can be reached by calling 817-294-8821 or online through his website.